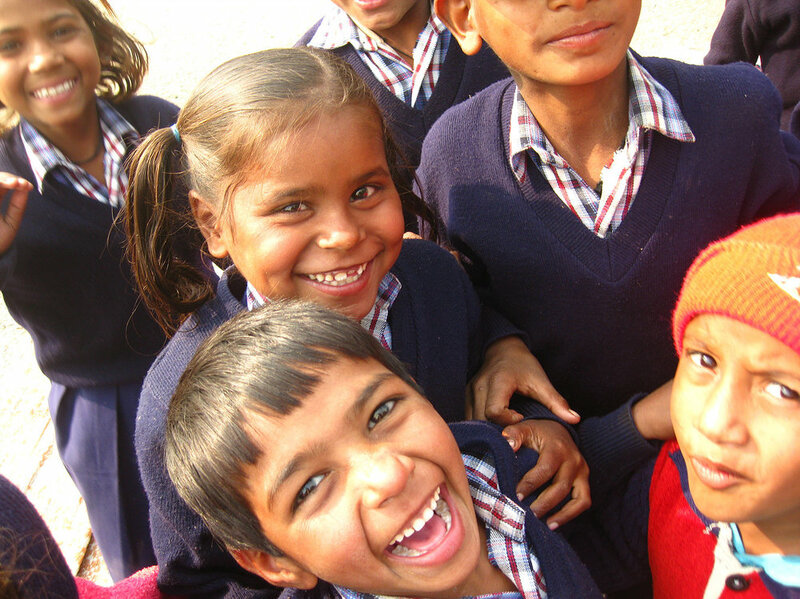 MAKE YOUR NEXT VOLUNTEER TRIP COUNT BY JOINING ONE OF OUR PROGRAMS AND BECOME PART OF A WORTHWHILE CAUSE IN INDIA TODAY! Travelling to India will add a whole new meaning and dimension to your life. Even though India has one of the highest populations in the world, it also has one of the poorest concentration of people in the world. The gap between the rich and poor is unimaginable and millions of people in the country can barely afford one meal a day. Right now, the people of this country need all the helping hands they can get. With that being said, there are also some treasures within India. With some of the most religious people in our world, fascinating sights to see, and mouth-watering Indian dishes that will leave your taste buds tingling, it's hard to understand why so few people haven't experienced this marvelous country. It is said that there are two types of travelers that inhabit our world; those who have been to India, and those who have not. Which one will you be? India faces the double burden of infectious diseases and a dramatic rise in non-communicable diseases, now estimated to account for more than half of all deaths. These include cardiovascular disease, cancer, chronic respiratory conditions and type 2 diabetes, all of which affected over 63 million Indians in 2012 alone. Apart from causing individual tragedies, these diseases are also are a major economic threat. Many health challenges are linked to sanitation. India’s large population places a severe strain on its natural resources, and most of its water sources are contaminated by sewage and agricultural run-off. While progress has been made, gross disparities in access to safe water remain. The World Bank estimates that 21% of communicable diseases in India are related to unsafe water, and diarrhea alone causes more than 1,600 deaths daily. The challenge is to identify and implement the right way to provide 1.2 billion Indians with a clean environment. There is a strong need for gender equality. The gender gap holds back economies all around the world. Any society that does not value women as much as men is not reaching its full potential. We offer a variety of volunteer programs in various areas throughout the country which provides plenty of opportunity for volunteers to get involved with the poor and under-privileged side of society. There are many factors that contribute to the unbalance of the country but one thing for sure is that the poor need all the help they can get. If you think you have what it takes to challenge yourself in this exhilarating environment you'll be thankful that you did so as these people are some of the most deserving individuals on our planet. There are endless projects available to get involved in if you're looking to get the ultimate life changing experience, this is the place for you. WEATHER AND CLIMATE: The climate in India varies from a tropical monsoon climate in the south to a temperate climate in the north. The most ideal time to visit the Capital city of New Delhi is between the months of October to November or February to March. During these months, nights are cool and the days consist of mild sunshine. The summer season is between the months of May to July. Temperatures are very hot with daily averages of 45 ºC / 113 ºF. It is a dry heat and sometimes accompanied by dusty desert winds. The rainy season is between the months of July to September. The rainfall in the interior is minimal in comparison to the tropical rains that fall along most of India's coastal cities.
" ... I MET SO MANY INSPIRING PEOPLE wHO DEVOTED THEIR LIVES TO HELPING OTHERS AND MAKING THE WORLD A BETTER PLACE. " 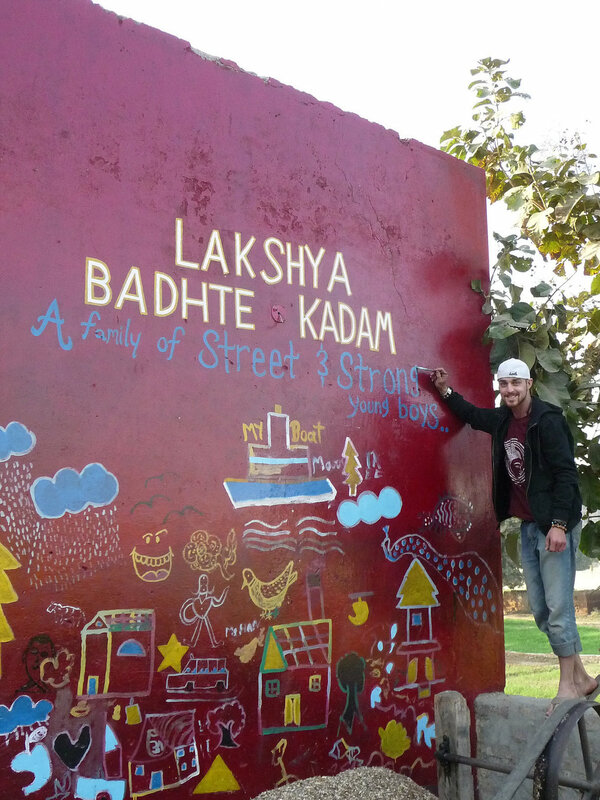 It is not easy to find words to describe what I have experienced while volunteering internationally for two months in India. An experience so enriching, so moving .. that helped me realize that we can be happy with so little. Joining a program with Volunteers Without Borders allows you to get in touch with the reality of what underprivileged people encounter daily. You get a taste of culture by living with host families and visiting various places in the country. Also, the fact that I was able to take part in so many different projects such as a disabled school, an orphanage, a school for slum children, an ultrasound Clinique, was amazing. I spent most of the time helping out in the school for street children, and even though the children and I did not really speak the same language, communication was not an issue and I got really attached to them. These children were filled with joy, and by wearing uniforms and having a place to be during the day like regular children, they just get to enjoy all normal things that children enjoy like learning, being creative, making friends and so on. During my stay in India I met so many inspiring people who devoted their lives to helping others and making the world a better place. I strongly recommend to everyone who wants to help others, or as a matter of fact, help themselves, to come to India and volunteer abroad or internationally. Many children in India do not go to schools because their parents do not see immediate benefits from studies. The majority of illiterate parents would prefer their children to work rather than go to school or get access to education. The street children schools are run by teachers; who are local dedicated volunteers, that are committed to offer any educational services they can to the truly desperate children that need it the most. Staff and other teachers assist the volunteers to create lesson plans if the volunteers would like to try to teach a certain curriculum. The schools do not have buildings for teaching the children; however, the schools operate in local parks close to the slum areas, so that the teachers are able to educate any child interested in learning. Most schools teach between 100 to 300 children, depending on the school. These schools strive hard to be able to provide uniforms, school supplies, and one meal daily to each child. Offering such services provides many incentives to encourage impoverished parents to send their children to school. The local teachers here instruct the children in subjects such as hindi, english, mathematics, science, social studies, physical exercises, dance and music, and arts and crafts. If the children are eager learners and receive enough education, there may be possibilities to take scholastic exams and if they pass, they will get an opportunity to be integrated into a public school and obtain a decent paying job later on in life. As a volunteer on this program, you will be provided with an incredible opportunity to get involved in as many aspects of this programs as you can imagine. Volunteers are expected to be actively involved from Monday to Friday during the hours of 9 am until 1 pm. There are also orphanages close by as well so if volunteers wish to continue offering their helping hands in the afternoon, the opportunity for them to do so will be provided . Be joining this program, it will surely open your eyes and provide you with a whole new perspective, as well as allowing you a chance to immerse yourself deep into the culture and help you begin to understand what the reality of a life in poverty is like in India. As a volunteer, you will help the teachers with their curriculum for the school, which they keep as close as possible to a private school's academic curriculum. Volunteers can teach English, mathematics, physical exercises, art, and western culture to the children through songs and dances to enrich the children's worldliness. The school children are 'Fascinated by the volunteers' and will enthusiastically come to school each day with a grin from ear to ear. With your help, you will empower hundreds of children and encourage them to learn English and by doing so, their skills will greatly improve. In most schools, volunteers can offer computer classes to the children which helps to enable them with new opportunities of communication to other people and the outside world. Teaching English in India mainly focuses on the development of English speaking skills of students presently studying in schools and colleges. As an English teacher, your classes will be filled with enthusiastic students. 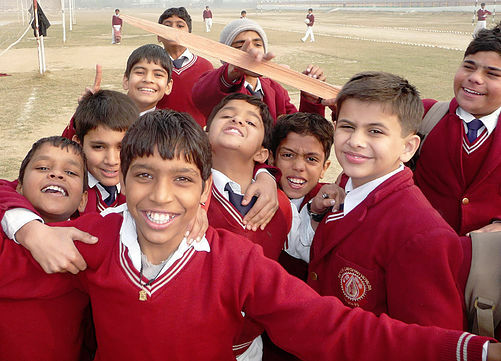 English teaching in India also offers exceptional opportunities to build a career in teaching, explore Indian culture, hospitality, and meet new local people. As a volunteer, you will also be able to teach and participate in developing and planning English camps, trips, and other activities with teachers and students to practice conversational English. Textbooks and other teaching materials will be readily available at any school that you volunteer on. Living on the streets or becoming an orphan is incredibly difficult for most individuals to imagine but it is a harsh reality for so many children in many developing countries, especially throughout India. To make matters even more difficult, most families do not want female children and thousands of children every year are dropped off at orphanages and the parents are never to be seen again. Luckily, efforts have been made by various welfare organizations to protect these children, to provide a safe and secure home environment and most importantly to offer them adequate education. Working at an orphanage requires love for children, maturity and self-discipline. As a volunteer, you will share your time, energy and skills to support these children and bring a bright ray of hope into their lives. During your stay, you will be encouraged to teach basic English, draw, help organize games or sports activities, sing, dance, or even perform theater with the children. Providing general care for the children is also something that is highly encouraged. You may also be asked to perform general and special tasks and accompany children on outings as required by the program. We offer a special orphanage set up specifically for HIV positive children if you're willing to spend your time volunteering in Udaipur. This orphanage provides a safe home where staff and volunteers help to educate and provide skills that will empower these children and give them a fighting chance to achieve their goals and help them to reach their dreams. At this center, there are currently nine children and they all attend local government run schools. Some of the challenges they face are beginning school late and delayed education, a lack of opportunity, and limited platforms to progress academically. By becoming a volunteer on this program, you can help support them by providing education with special emphasis on English, Mathematics and Computers, and also spend time with them, make them smile and promote their overall well being. ~ AMBULANCE - As a member of this team doctors and pharmacists will accompany you. Goal of this project is to reach ailing population in remote and rural areas, where health services are beyond their reach. You will distribute medicines and you will share your time, energy and skills to support the people. ~ HOSPITAL - In charity hospitals volunteers can have several different opportunities. 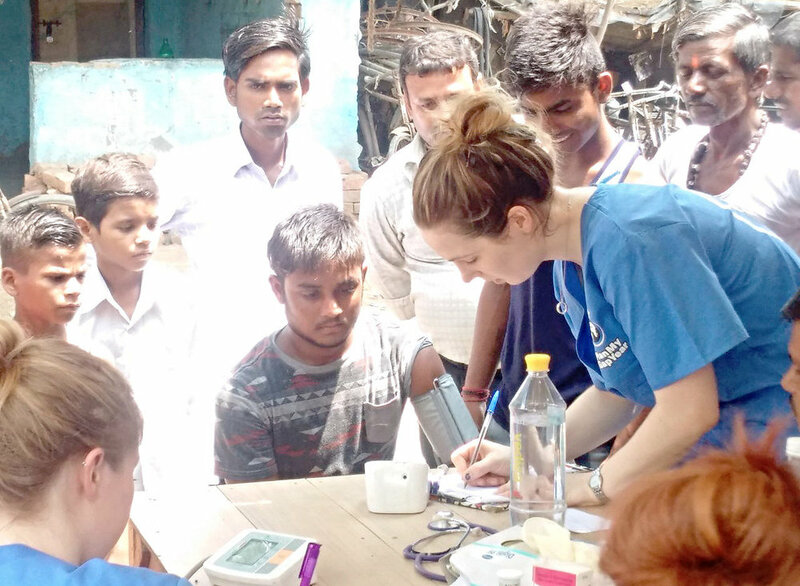 Volunteers can assist in surgical procedures or help nurses and doctors with their routine jobs, such as taking height and weight measurements of the patients, as well as measuring blood pressures of the patients. Under supervision of the medical team, volunteers may assist in distribution of medications, providing suggestions to patients regarding nutrition, health, and sanitation, and serve the patients by treating minor injuries additionally. While volunteering at a hospital you will be provided with an opportunity to get involved in any of the following programs: Pathology Lab, Surgical ward, Ultrasound, Obs n Gynae, GP, Eye clinic, Slum clinic, Physiotherapy department or providing medical care to children in a Special needs school. Mentally challenged children find it difficult to follow basic verbal commands as swiftly as normal children can. Mentally challenged children often struggle with school and demonstrate academic backwardness and can appear lost in their own world. They are poor in ADL (activities of daily living, i.e. combing, brushing teeth, getting dressed, etc). As a volunteer on this special program, you will be involved in assisting these special needs children to lead a near normal life. If volunteers are planning to stay for a minimum of 2 weeks, some of the projects offer training for volunteers to teach them how to provide care for these children. Other services provided on this program are therapy and counseling for schizophrenics, occupational therapy, psycho physical exercises and outpatient counseling. Some tasks for volunteers will include center maintenance and gardening, preparing and serving meals, cleaning and providing companionship to the inhabitants of the house as well as helping with their education. Most of the rural women in India are illiterate. Not by choice, merely because they were never given access to any kind of education in their lifetime. The goal of these programs are to teach and empower women to understand the benefits of personal hygiene and care, basic calculations, basic computer skills, knitting and/or stitching, and life skills. By empowering local women to do so, it provides them with new skills to be able to analyze their own situations and use acquired knowledge to make changes whenever necessary. For example, one of our projects offers volunteers the chance to observe the process and assist with teaching how hand made jewelry as well as plastic and leather bags are produced, stitched and tailored. These are valuable skills that can easily be learned and taught to others will help these women and many others in their quest to be financially independent and begin to provide for their families or future families. For those of you who are interested in combining a volunteer experience with some authentic rural adventures and going deeper into the Indian culture, we have our cultural exchange program. You will be given an opportunity to take a closer look at real Indian families and be a part of the Indian festivals and celebrations and get a glimpse into present day India. The cultural exchange program includes guided tours to a village location where you could spend the whole day engaging yourself in the day-to-day activities of rural people. This is a three week language and cultural immersion program includes orientation on north Indian religion, culture, history and customs as well as formal Hindi language tuition. This program may also include art lessons and painting from local village artists, music classes and meditation classes (depending on availability). During your program, you will be provided with time to explore the surrounding area as well as observe the many marvelous sights in the capital of India, called New Delhi or other places close by like the almighty Taj Mahal. 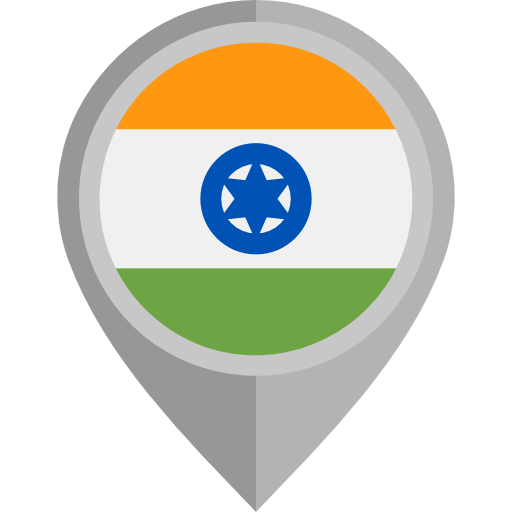 During your down time, you will also get many opportunities to meet friendly local people that will add to your experience and if you are lucky, they may even be willing to allow you to practice your Hindi with them. ~ Develop compassion and helpful attitude towards each other and the community. ~ Teach the youth values of education and encourage them to attend school and learn new skills. ~ Educate the parents on the importance of education and encourage them to send their children to schools. ~ Spread awareness about issues like health and hygiene and assist youth to develop good habits. ~ Assist the youth with personal challenges in education and help those who attend schools with their homework and class work. ~ Volunteers will visit some of the youth education centers and spend some evenings there. During the morning, volunteers can acquire useful materials for the youth related to education. Program Fee – airport pickup (included from New Delhi only), orientation, program supervision, accommodation (private or dormitory style) and meals during volunteer program period, in-country 24/7 volunteer support and in country administration costs.